I have found the Hegelian side of Marxism fascinating for some time now, since coming across Lukacs at university. I don’t think you can truly get to grips with Marx’s analysis without some understanding of dialectics. One of the things I find powerful about dialectics is how it approaches change, the processes by which things develop. “Sublation” is one of the key concepts which underpins this analysis of change. As things (concepts, theories) change they are gradually negated, turn into their ‘antithesis’, until at the point of change a new ‘synthesis’ appears. Crucially, this new synthesis does not simply replace its predecessor, it subsumes it. The new wholly contains the old, grows from it, can only be understood by looking both back at what came before, and by extension forward to what it will become (something I’ve written about before). Marx also uses this idea of sublation, particularly when describing the conflict that grows between the developing relations of production and a society built on top of economic mechanisms that are being superseded. 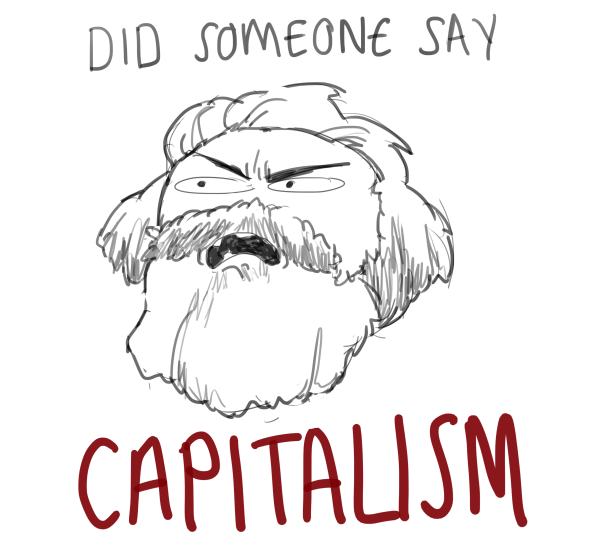 The concept runs throughout the Communist Manifesto and is stated in the simplest fashion in the introduction to “A Contribution to the Critique of Political Economy”. Fredric Jameson makes a similar point in a number of the essays included in “Valences of the Dialectic“. Counter-intuitively he uses Walmart as an example of a company which, paradoxically, has overcome the anarchy of capitalism and the market, providing the necessities of life to an increasingly impoverished public which is incapable of exercising political control (Jameson 2009 p. 422). Jameson makes a connection to Marx’s admiration for the progressive power of capitalism, evident in section 1 of the Communist Manifesto. Walmart then, for all its exploitative nature within capitalism, is a phenomenon we must ‘sublate’ and overcome rather than trying to pretend that it (and all the other features of ‘postmodern’ capitalism) never happened. Socialism can only be something that develops out of the existing state of capitalism, that subsumes and exceeds where we are now. The ‘postmodern’ age of capitalism with its global reach and advanced communication systems provides the foundation on which the future needs to be built. This is an analysis which is quite close in principle to the idea of “fully automated luxury communism” promoted by some on the modern left. As Jameson points out, what this also implies is that Marxism is not a static solution to which we can endlessly “return”. It is a method and means of analysis based on capitalism itself. As capitalism changes, the analysis of its contradictions and instabilities needs to develop, developing and building on the foundational analysis by Marx. So what is the link to Corbyn? One common criticism of Corbyn is that his agenda is based on the Bennite policies of the early 1980s. Much of this is commentary is plainly scaremongering with a liberal or status quo standpoint. That said I do worry that one strand of the Corbyn ‘project’ is about protecting and defending past victories (or reversing past defeats) rather than seeking to ‘sublate’ capitalism and replace it with something truly radical. Corbyn might be seen as the last social democrat, not the dangerous subversive he is often made out to be. To put it another way I think that rather than being a dangerous radical, I believe Corbyn isn’t being radical enough. This entry was posted in Marxism and tagged Corbyn, Dialectics, Marxism, Politics on December 17, 2018 by 4harrisons.